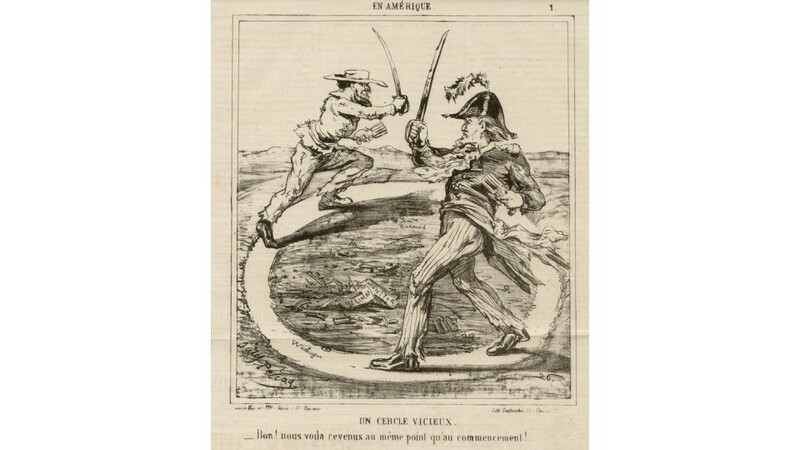 French 19th century caricature relating to the American Civil War. Blanc devenir marron ! negre oblige maintenant de courir apres ! ... contraire d'autrefois !...' 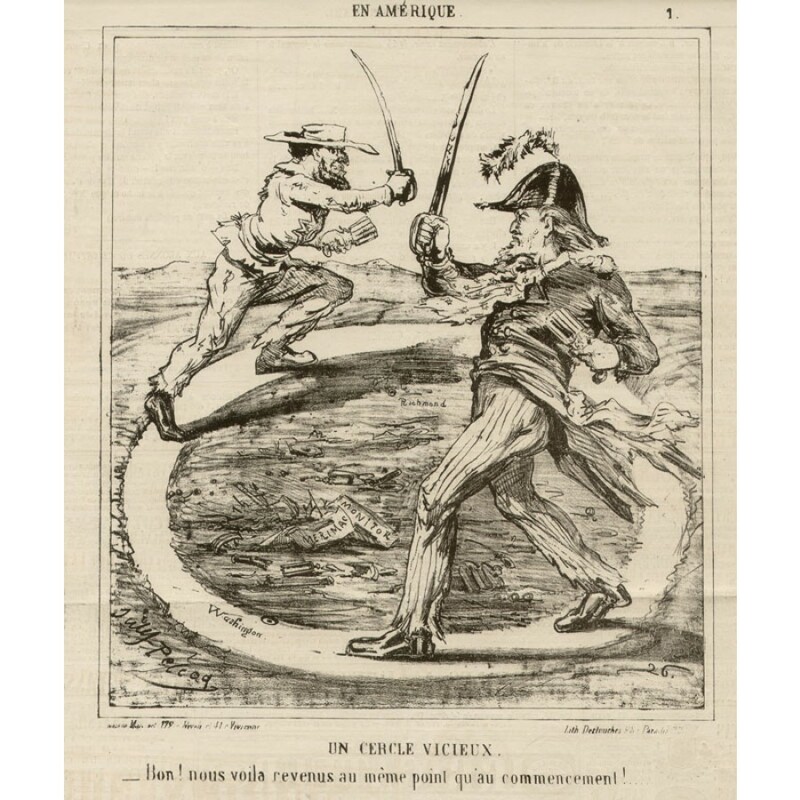 Lithograph from the from the series, "En Amerique" published in 'Le Charivari'. 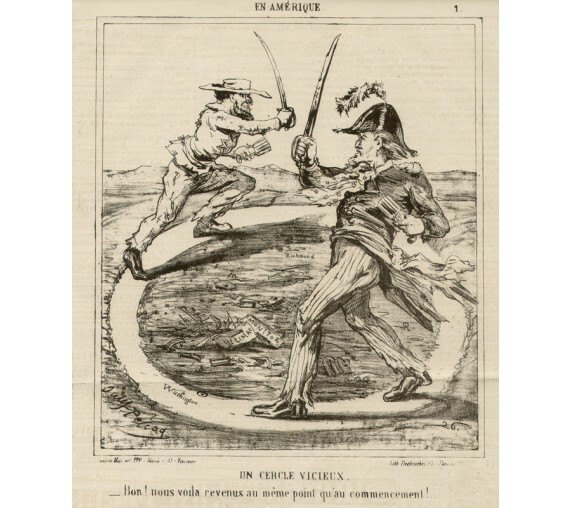 The American Civil War (1861-1865) was a civil war fought over the secession of the Confederate States. Eleven southern slave states declared their secession from the United States and formed the Confederate States of America ("the Confederacy"); the other 25 states supported the federal government ("the Union"). After four years of warfare, mostly within the Southern states, the Confederacy surrendered and slavery was abolished everywhere in the nation. Part-page illustration. Text on reverse as issued. Faint horizontal crease as issued.